Acting the song: performance skills for the musical theatre / by Tracey Moore, with Allison Bergman. Stage Combat: (ages 11-14 only) From slaps and punches to kicks and falls, this workshop teaches students the basics of stunt fighting. Beginning with a familiarization of paint, gesture and mark, then working through a formal study of basic visual elements (line, shape, form, light, space, and color) and simple subject matter (still life, landscape, the figure, abstraction), students develop a basic . Performance lighting design: how to light for the stage, concerts, exhibitions and live events / Nick Moran. Ringer's whimsical set designs and Angela Balogh-Calin's imaginative costumes. 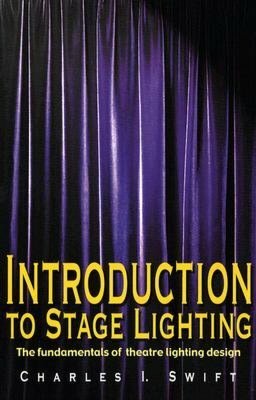 Introduction to Stage Lighting: The Fundamentals of Theatre Lighting Design Create a almost no time in your timetable regularly to accomplish something. This course invites students with art experience from across the College, including visual arts, music, theater, creative writing, etc., to pursue self-directed interdisciplinary art projects. Balanchine variations / Nancy Goldner. Find 0 Sale, Discount and Low Cost items for fundamental - prices as low as $5.06. Technical Theatre: In this workshop we will introduce the student to a basic understanding of principles of sound design, lighting design, make-up, and other technical aspects of the theatre. Admittedly, the show is essentially a straightforward staging of the Broadway script -- a nice introduction to the work, but if you've already seen the play, it's not certain that this production adds much to it. Under Andrew Ellis' technical direction, that opening heralds many fabulous visuals, drawn from lighting designer Ken Booth's lush, kaleidoscopic panoramas, Jeanine A. All in the timing: fourteen plays / David Ives. Balanchine the teacher: fundamentals that shaped the first generation of New York City Ballet dancers / Barbara Walczak and Una Kai. It takes students step by step through the process of creating the illusion of a hand to hand fight and teaches the basics of sword fighting.